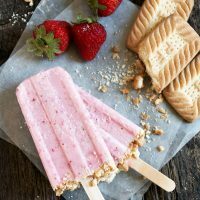 The perfect Summer dessert pop, these Strawberry Shortcake Yogurt Popsicles combine fresh strawberry puree with yogurt, a touch of cream and shortcake cookie pieces! It’s finally strawberry season here in Central Ontario, so I’m all about strawberry everything. 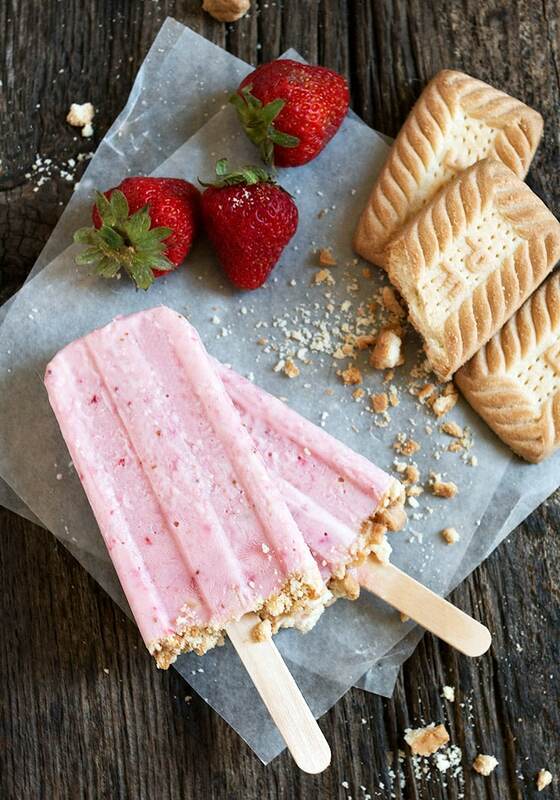 These strawberry yogurt popsicles are the perfect after-dinner, warm weather popsicle. 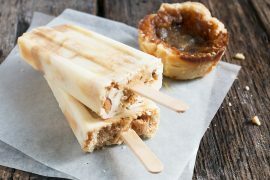 It’s a refreshing dessert on a stick! 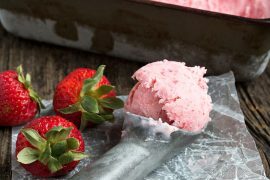 For these ones, fresh strawberry puree combines with yogurt, a bit of sweetened condensed milk and a touch of cream. For the “shortcake” part, crushed shortcake cookies are folded into the mix, as well as sprinkled on the bottoms. While this is a creamy pop, it’s not overly rich. The taste of the fresh strawberries is front and centre, with just enough creaminess and cookies to make it a lovely treat. For the cookies, just browse the cookie aisle at the grocery store. You will probably find cookies called “Shortcake” cookies. I found both a name brand (PF :) and a store-brand of shortcake cookies on the shelves here. While it’s easiest to blend all this up in a blender or food processor, you don’t really need either. Just a fork to mash the berries and then a bowl and a whisk will work. Be sure to leave room at the top as you are filling for the cookie crumb layer. These refreshing popsicles are perfect for a Summer after-dinner treat. With fresh strawberries, yogurt, a touch of cream and chunks of shortcake cookie, they are a delicious treat. 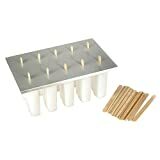 You will need a popsicle mold of some sort with sticks. If you don't have a popsicle mold, try plastic cups and popsicle sticks! In a blender or food processor, blend hulled strawberries to a rough puree (doesn't need to be completely smooth). Remove from blender and measure out 1 cup. Return the 1 cup of puree to the food processor. Add the yogurt and sweetened condensed milk and blend until combined. Remove to a large bowl. 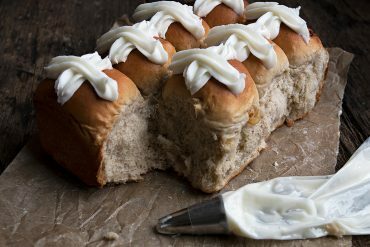 In a small bowl, whisk the whipping cream until it thickens to soft peaks. Fold into strawberry mixture. 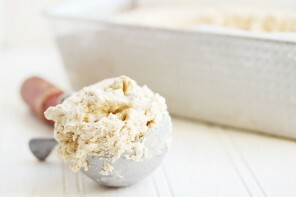 Add 1/2 cup of the crushed cookies to the mixture and fold in to combine. Just made these for the second time this summer!! 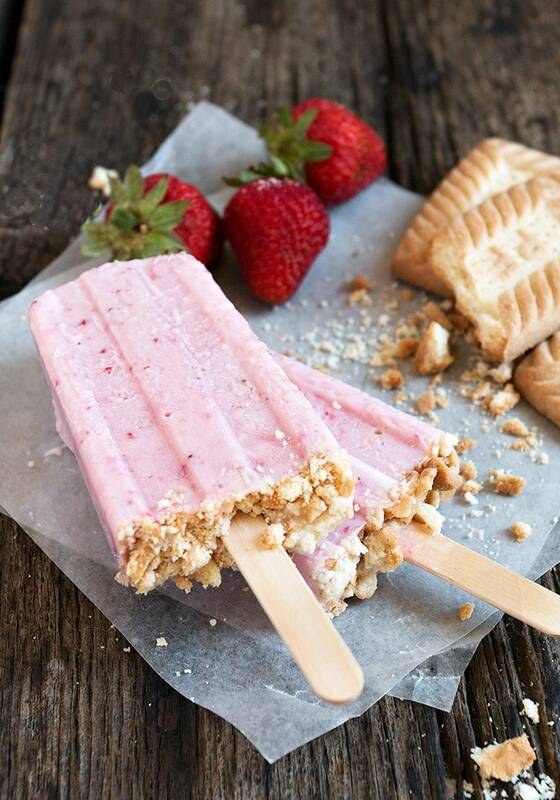 The taste of fresh strawberries in a creamy pop is such a treat. And, we love the crunch of the cookies throughout. Thank you for this lovely recipe, Jennifer. These totally remind me of ones I used to get as a kid…but these are so much better cause they are homemade and they have yogurt! Gotta try these :) Happy Canada Day weekend, Jennifer! Thanks Dawn and Happy Canada Day weekend to you, too! 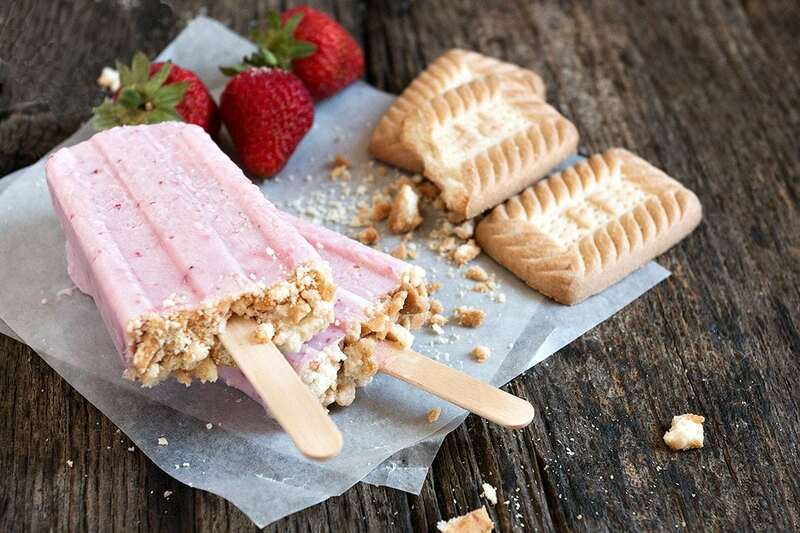 Gorgeous pops, I love the shortcake cookies with the creamy strawberry layer! Strawberry shortcake is hands down my favorite summer dessert Jennifer! I’ll need to make a batch of these for sure. The shortcake cookies are a great addition to these! These are adorable ~ I love the crumbs at the bottom!